Measuring the volume of an irregular object, illustration. 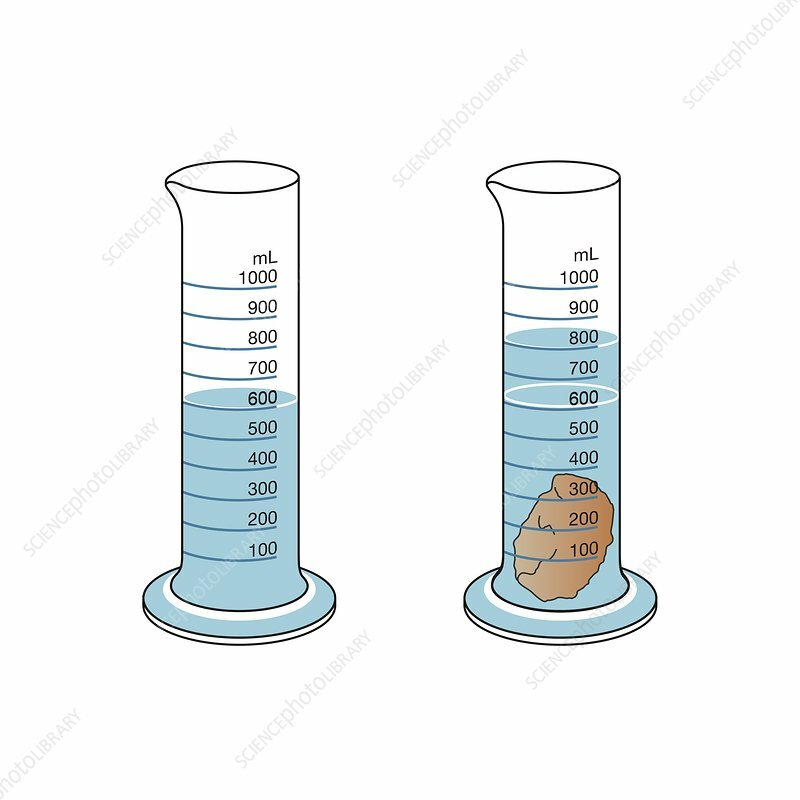 If an object has an irregular shape, its volume can be measured by submerging it in a measuring cylinder partly filled with water. The increase in the level of the water indicates the amount of water displaced, and therefore the volume of the submerged object.